We’ve gathered all Word Farm Cross answers for you. 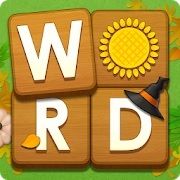 This great game seems to be easy, but it can be hard to find every word you need. And that’s why we are here to help you solve every Word Farm Cross level. When you cant find the answer you need, then you can search with the letters you have for all possible solutions. With this help you will solve every Word Farm Cross level. Please Like this page if you found your words here.